for $1,499,000 with 5 bedrooms and 2 full baths, 3 half baths. 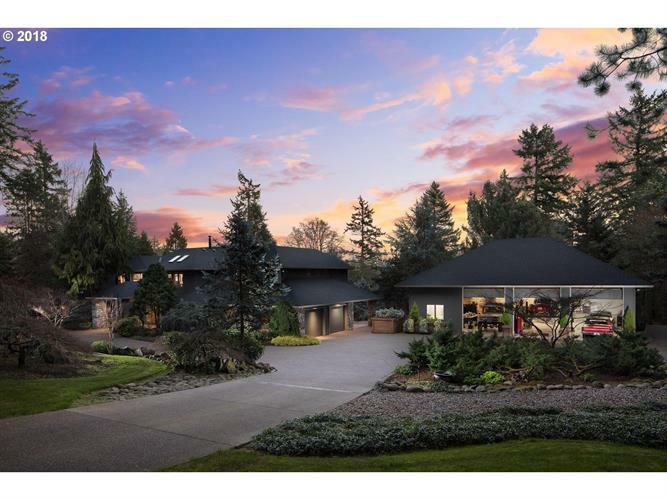 This 4,639 square foot home was built in 1990 on a lot size of 1.9000 Acre(s). Rare Close in Lake Front Acreage in Gated Community of 12 Homes. 4+ Acre Lake and 20+ Acres of Wooded Trails. Custom Country Residence Provides Gourmet Kitchen w/ Spectacular Indoor/Outdoor Spaces For Entertaining in Style. 16 Car Shop/Garage Space for the Auto Enthusiast, 3 -12'Garage Doors. Plus Additional 2200 SF of Heated Shop Space Below Home. 20 Min to Downtown Portland/10 Min to Bridgeport Mall. 5 Min to Coffee. Data is updated as of 4/18/2019 04/18/2019 07:41 AM UTC.